Dearest and super comfortable. 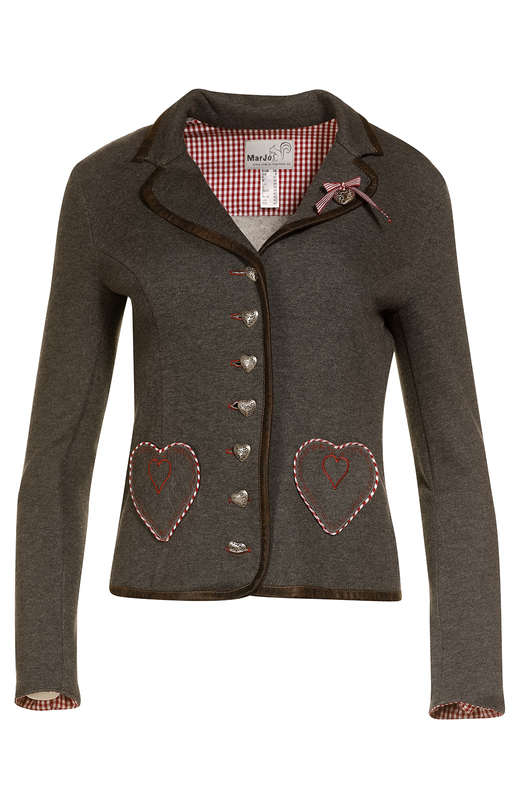 The traditional jacket grey red from the Marjo costume collection. 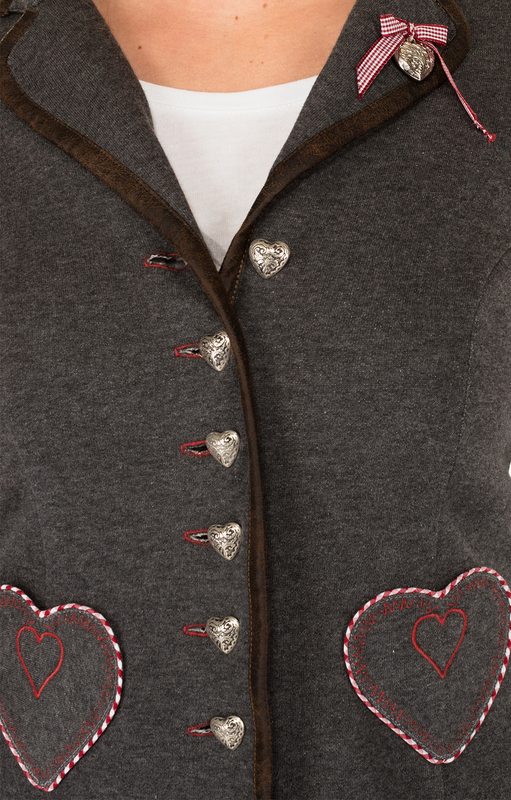 Dearly loved thanks to the many small playful details such as the diamond contrast cuffs on the sleeve, the small embroidered heart pockets on the front or the small heart buttons with the red bordered buttonholes with which the jacket is closed. 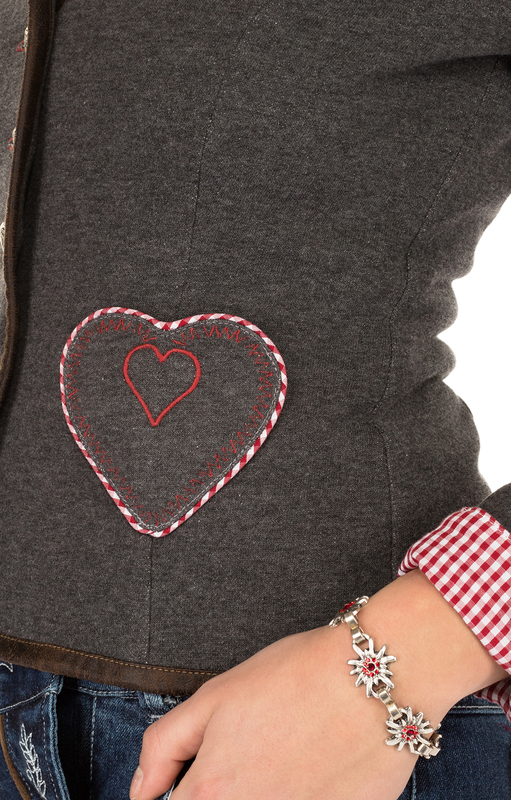 And super comfortable thanks to the fine knitwear that made this traditional jacket. Set with washable leather, it plays with very natural and original materials and also gives a nod to fashion with the backstitch with rhinestones. Young with traditional elements. 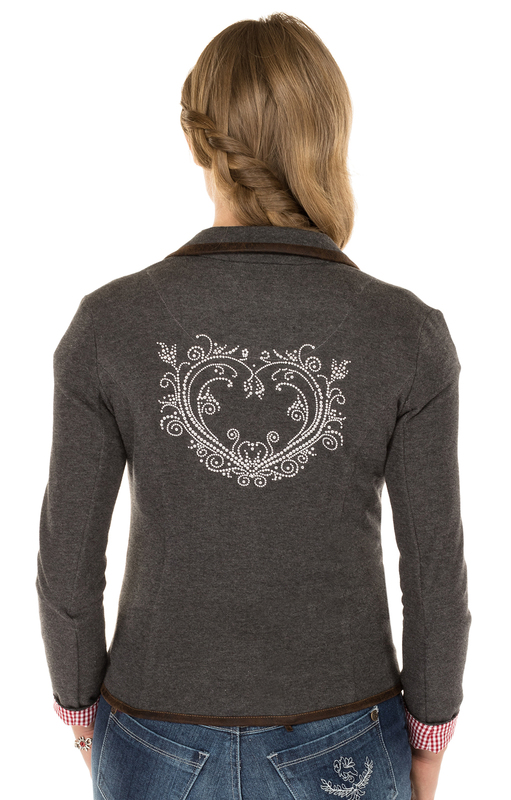 Practical, comfortable and great eye-catcher. What more do you want. And the price? He is just as fantastic. Namely fantastic cheap.